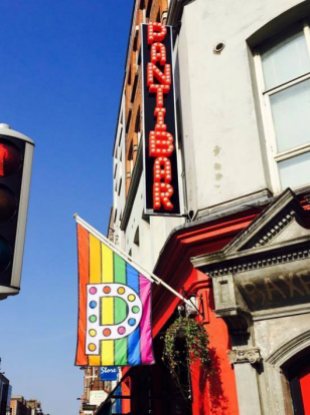 THE BACKLIT SIGN sign on the front of Dublin nightspot Pantibar is to remain in place after An Bord Pléanala agreed that there were “exceptional circumstances” in the case. The 3.5m long sign on the Capel Street gay bar was erected last year but has been the subject of a number of planning objections. Earlier this year, Dublin City Council had rejected an application to keep it up but an appeal was lodged with An Bord Pleanála. Today, the bar has confirmed that An Bord Pleanála have granted permission for the sign to stay after it agreed that exceptional circumstances apply in this case. “The sign is integral to the social, historical and cultural significance of the current use of the premises,” An Bord Pleanála said, according to Pantibar. Email “Controversial LED Pantibar sign will stay up after being classed as 'exceptional' case”. Feedback on “Controversial LED Pantibar sign will stay up after being classed as 'exceptional' case”.